Hello! Despite my credentials, you can simply call me, "Eric." I feel fortunate for the opportunity to serve you. 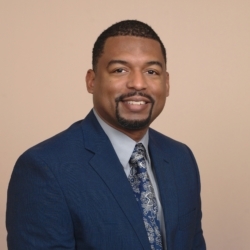 I am originally from Albany, GA and an avid football and basketball fan of any college and professional teams from the state of GA. As a Licensed Professional Counselor (LPCS) and Licensed Marriage and Family Therapist (LMFT), I strive to strengthen hope and purpose and collaboratively bring healing to you and your relationships both personally and professionally. With nearly 15 years of mental health experience, I have worked with individuals and couples from around the world as well as those diagnosed with developmental disabilities (i.e. autism). Additionally, I have served minorities of various ethnic groups and individuals within the LGBTQ community. My specialties include: -Military Families -Marital/Partnership issues -Teenager/Adolescent issues -Depression -Anxiety -Families affected by developmental disabilities My approach is nonjudgmental, empathetic, and collaborative. I will "walk" alongside you and/or your relationship to empower and inspire hope and healing. Since I have twin boys diagnosed with autism, I am very active in the autism community serving on the board of directors for Mariposa School for Children with Autism in Cary, NC as well as the board of directors for Autism Society of Cumberland County in Fayetteville, NC. I have presented at a state-level conference on autism and family life, provided a local workshop on autism and family life, and published several blogs on autism. I also have experience serving marginalized individuals to include those within the LGBTQ community. I had the great opportunity to present at a major conference in 2017 on transgender in the military. The topic garnered much participation from the group.